The CON-TROL-CURE® MINI PERISTALTIC PUMP is ideal for small volume applications of medium viscosity inks and coatings. It provides a sure method of pumping materials without contamination. 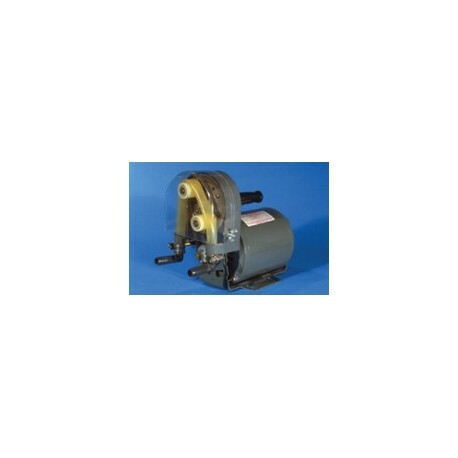 2 rollers on a ball bearing pulley rotate at approximately 700 rpm, providing 1400 pumping impulses/minute. Materials are squeezed through the tubing at a flow rate of 2 GPM. The pump is self-priming, with 1/2" I.D. hose connections. Lightweight and portable, weighing only 20 lbs.